In 1887, Francis Quarles Story, whom this district is named after, was a Boston wool merchant. His ill health had taken him to California a decade before he purchased the acreage that is today the F.Q. Story Historic District. He had settled in Los Angeles County, studied the cultivation of citrus, planted orange groves, and is credited with founding the national advertising campaign that made the Sunkist Orange famous. Active in many educational and conservation endeavors, F.Q. Story was a director and president of the Los Angeles Chamber of Commerce and a tireless booster of commercial and industrial enterprises in California and Arizona. 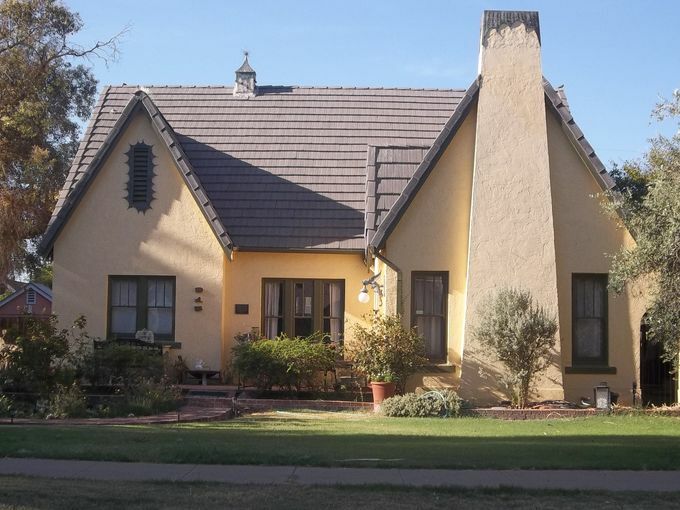 Story and other prominent southern California landowners expanded into the Salt River Valley of Arizona in the late 1880’s, investing in land and promoting both agricultural and town site development. Although he never lived in Phoenix, Story was involved in numerous projects, such as the design and construction of the 100 foot-wide Grand Avenue thoroughfare in 1887 and the subsequent building of its streetcar line. In the early 1900’s, Story was influential in the founding of the Grand Avenue and University Additions, but their development was disappointing. 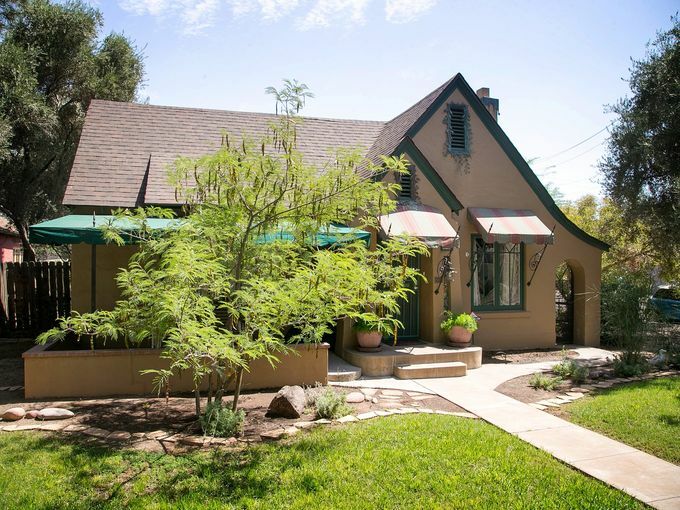 In spite of having announced in 1910 plans to subdivide the 200 acre parcel, which would become the Story neighborhood, he sold the entire parcel to the Phoenix firm of Jordan, Grace and Phelps in 1919. In 1920, when development of the F.Q. 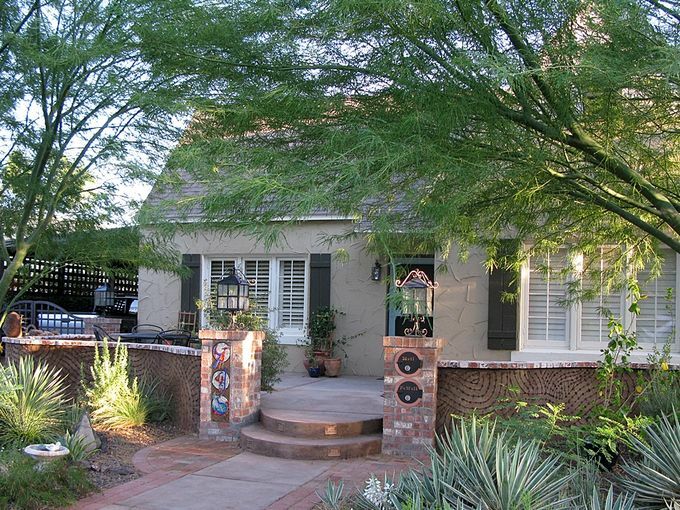 Story neighborhood began, Phoenix had a population of 29,000. It was advertised as a streetcar suburb, being close to the Grand Avenue and Kenilworth carlines. The first houses were clustered by the streetcar line at the eastern edge of the neighborhood. As building proceeded westward and the auto became more common, houses began to feature detached garages and porte cocheres. 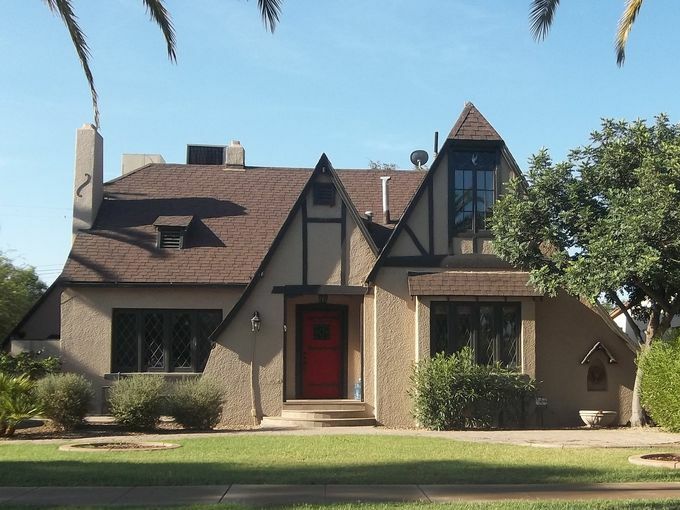 Tudor style homes are the most prominent and brilliant in this district. In 1920, when development of what is now the F.Q. 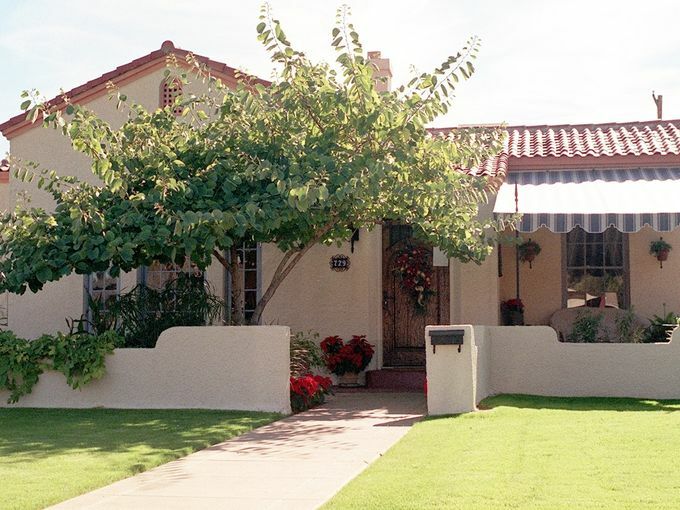 Story Historic District began, Phoenix had a population of 29,000; almost six times what it had been at the turn-of-the-century. Grand Avenue had been built to link central Phoenix with the thriving agricultural communities of Glendale and Peoria. Like the nearby Roosevelt neighborhood, Story was advertised as a streetcar suburb, being close to the Grand Avenue and Kenilworth carlines. As in other developments oriented to the streetcar, Story was laid out with narrow, deep lots. The streetcar line at the eastern edge of the neighborhood clustered the initial houses. 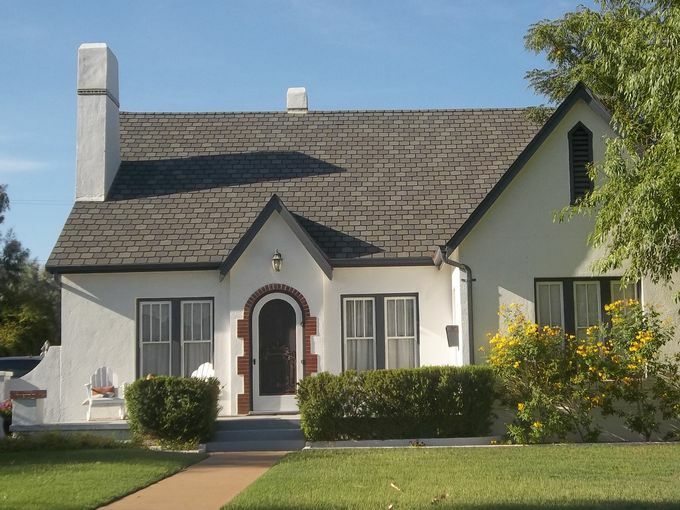 By the middle of the decade, as the automobile became more common, houses located further west began to incorporate detached garages and side yard porte coheres appeared. Their presence reflects the growing impact of the automobile on architecture and suburban American life by the mid 1920’s. When subdivision of the F.Q. Story Addition began, it was described in advertisements in the Arizona Republican in March of 1920 as “The Real Estate Event of the Season!” and “The Place, the Thing, and the Time you have been waiting for.” Advertising boasted that the developers “expect to sell this entire tract within thirty days.” In spite of the hype, only one house was built in all of 1921. This was due to the fact that the area lay directly in the floodway of Cave Creek, which in 1921, inundated the entire western end of the city and put two feet of muddy water on the first floor of the State Capitol just a mile to the south. No lives were lost, but property damages were severe and estimated to have exceeded the million-dollar mark. The last development phase of the Story Addition began in 1927 when “New Story” opened, covering the eighty acres from 11th to I 5th Avenues, between McDowell Road and Roosevelt Street. At $3000 to $4000, building restrictions were slightly lower here and duplexes were permitted in certain sections. In July 1927, the developers, Lane-Smith Investment Company, encouraged sales by having A.F. Wasielewski Construction Company construct a ‘model home’ at 1106 West Lynwood, a novel idea for the period. By September forty more homes had been built. At the same time, the remaining westerly portion of F.Q. Story’s land was opened as “West Story” by developers Cowley, Higgins and Delph Company. It was also known as Franklin Addition, named for the new primary school nearby. Building restrictions were more modest still, just $2500 and $2200, which allowed working families to build in the area. In the eastern sections with the higher building restrictions, the earliest Story residents were mainly of white-collar status professional people such as physicians, lawyers, presidents and owners of small to medium-sized companies. On the west side were government personnel, sales people of all kinds, and a number of contractors who built in the area. All three partners in the realty company of Cowley, Higgins and Delph lived in “West Story,” as did a number of O’Malley Lumber Company employees. The only building constructed during this time, which remains intact in the neighborhood today, is the Pay’n Takit Market at 7th Avenue and Roosevelt. This small grocery was the twenty-third store opened up by the Pay’n Takit Grocery Company. 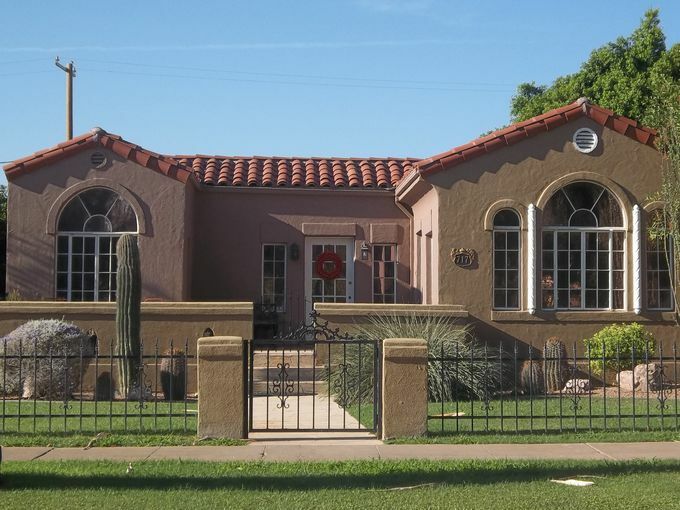 A Phoenix chain founded in 1917, they promoted the “innovative” concept of self service or “cash and carry.” Today, FQ Story is one of the most coveted historic districts in Phoenix, Arizona.